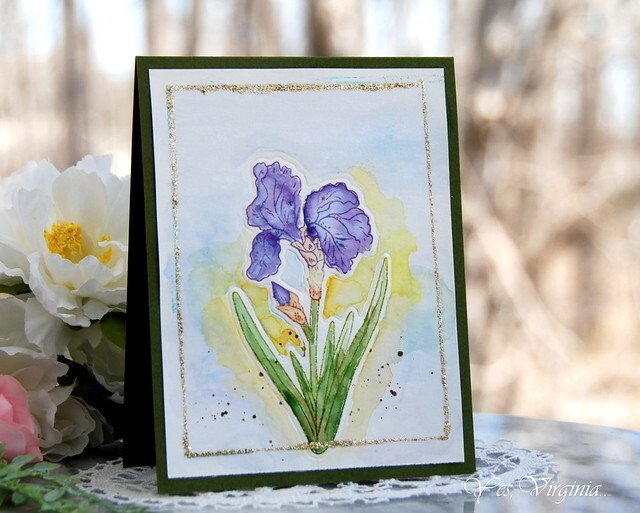 Today's post is another follow-up on my previous post about creating multiple flowers. 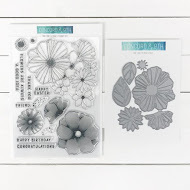 As you can see, I did have lots of flowers cut out from the matching dies and pattern paper. I came up with another simple design. This time, I am using the Watercolor Dots for the background. 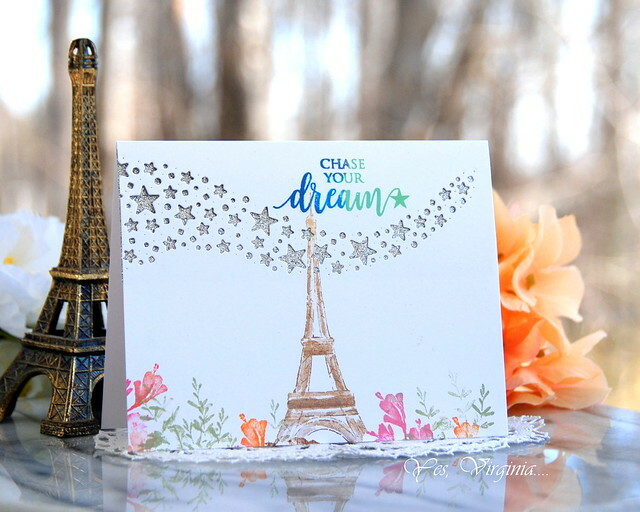 This background stamp is so lovely that I can see myself reaching for it again and again. 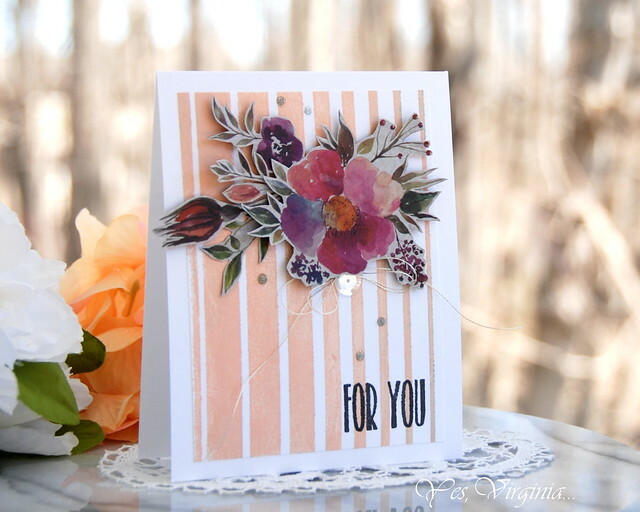 This is such a simple design, especially with all the inks and pattern paper that are perfectly coordinated. 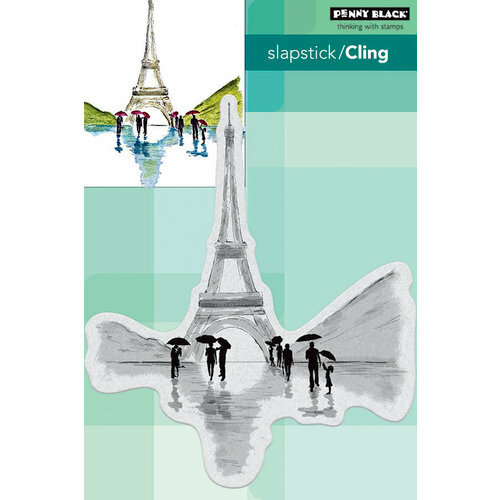 Recently, I am addicted to using Rock Collection (Gray) color for sentiment. 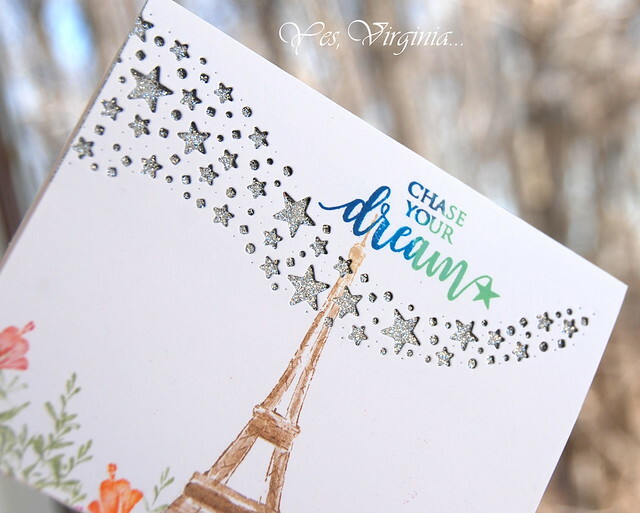 The gorgeous colors from the Dots are stamped with Volcano Lake in Sea Shore Collection. 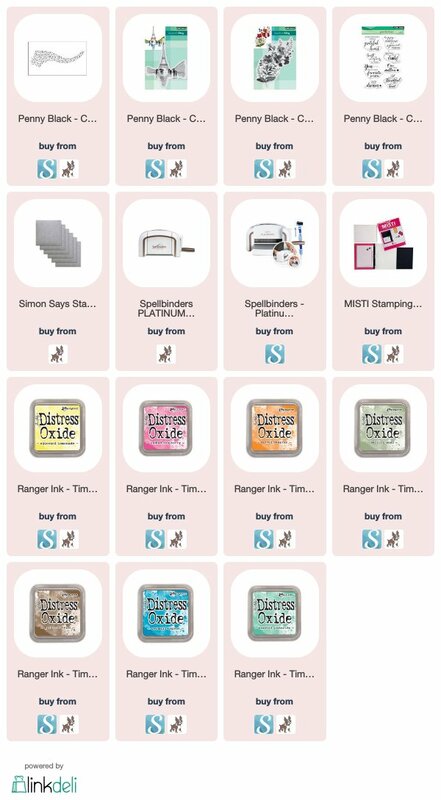 edited: The Spellbinders sales ends TONIGHT! edited---> One of the perks being on Altenew Card DT is that I get to give away $15 Altenew gift card to one of my readers/followers every month. 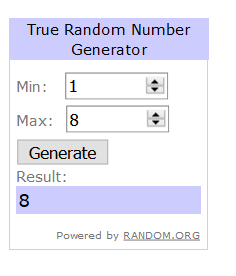 The more you comment, the more chances to win. It doesn't matter that you had won before, everyone has an equal chance to win each month. 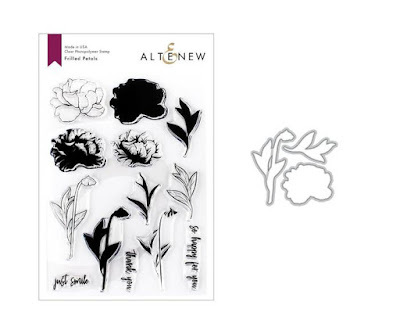 I picked yesterday's Altenew post (Stencil Sunday) and let Random. Org did the rest. What a cool way to brighten up a vanilla cupcake!! Congratulations, Linda BL! 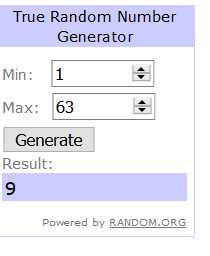 Please contact me becr8ive2@gmail.com to claim your prize! It's time for Stencil Sunday Series! I used part of the stencil and created a colorful border on top. This can be easily done with a cut out paper as mask from the stencil. I used the mask in one small section at a time. With the colorful border, I thought this goes well with a birthday/celebratory theme. 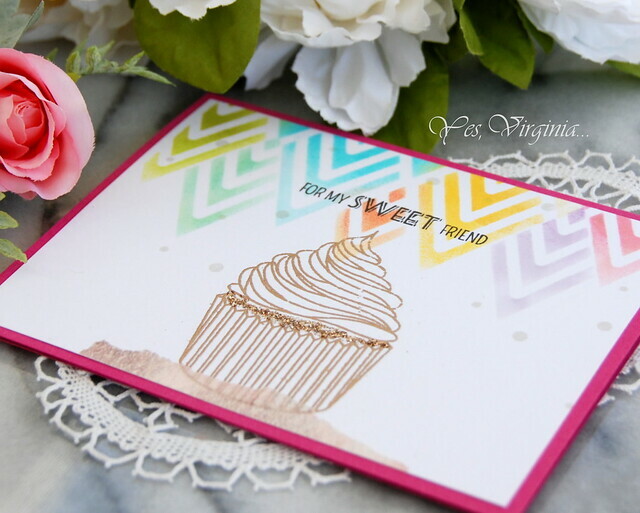 The Layered Cupcake Stamp Set is perfect for this. 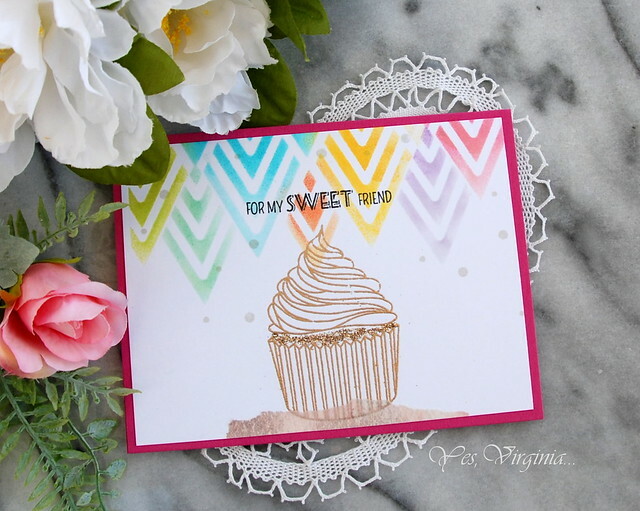 I really want to show off the colorful border, so I kept the cupcake image sweet and simple. The only thing I did was to dress up the cupcake image with some thick Glitter! 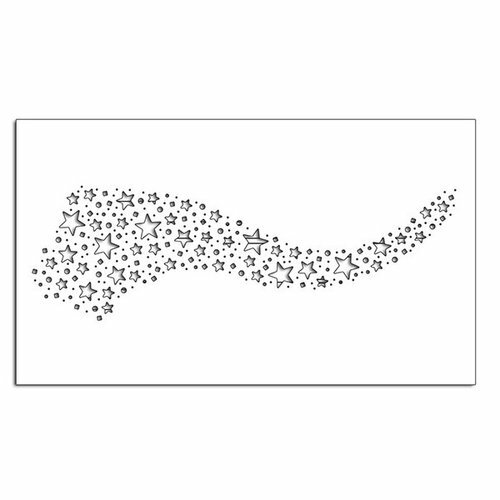 You can apply the idea to other stencils by partially stenciling them. btw I posted some sales info yesterday, click here to find out. Here are the last 6 week's stencil series. Wplus 9 (25% off) over SSS and Other Sales! All the WPlus 9 are 25% off. This one is a BEAUTY and are still available. 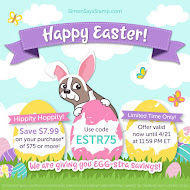 To get $5 off, you can still use SPR5F, however, it can not be combined with WP9427. 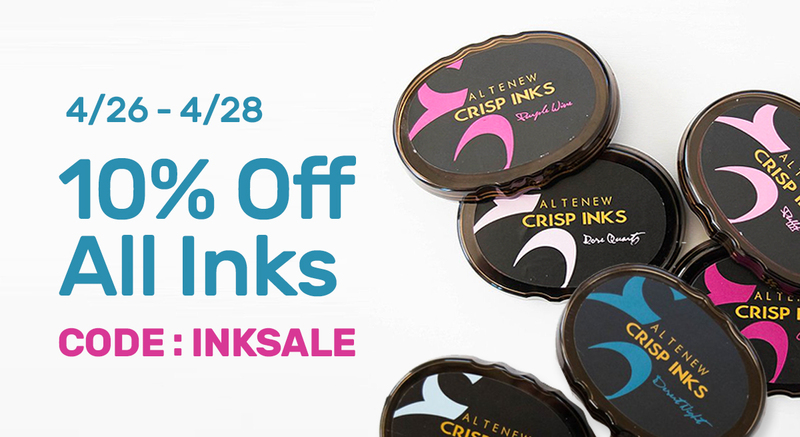 Altenew 10% off Ink Sale is ending today! ORANGE and Mini Rainbow Multi pack. 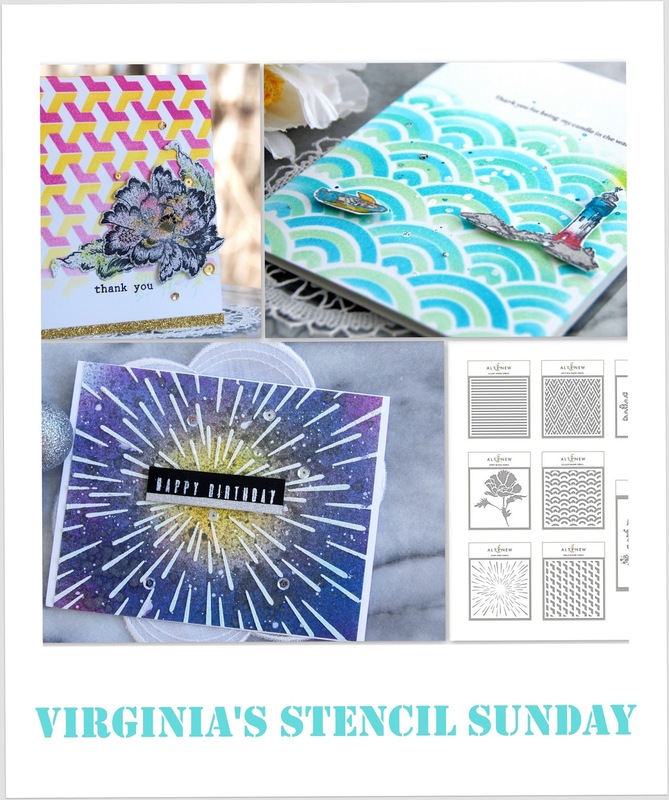 I will be back tomorrow with Stencil Sunday! 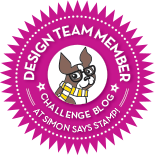 Creativity strikes me when I have a new die! 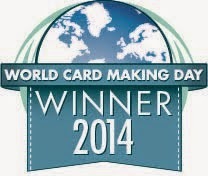 Today's card is just about that. I had this new die for a while now and I was wondering how to approach it. I took out this cling stamp and decided to use it as well! As you can tell, I did not stamp the bottom part of the stamp (with people holding umbrellas)! 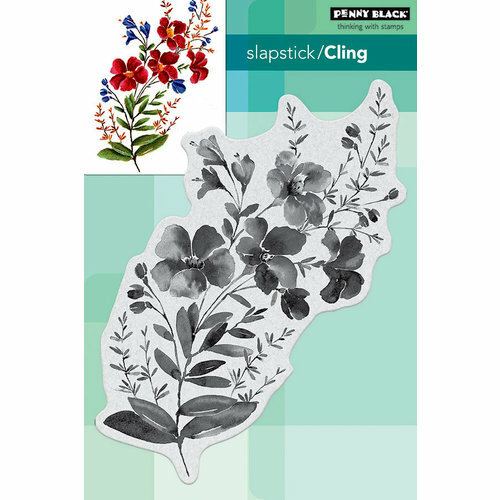 by using the TIP of this large cling stamp. Have you ever done that? EVERY bit of a stamp is precious, in my eyes! 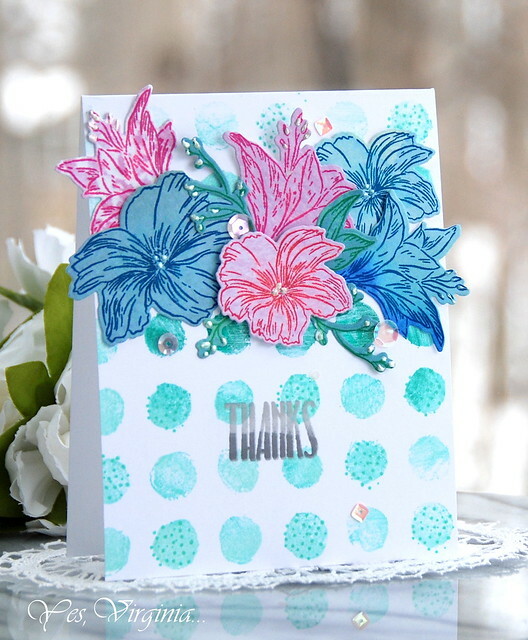 Not only the floral stamping gives the design some pops of colors and it also adds some interest. This die is does all the work! I did just die cutting and added a piece of silver glitter paper in between a piece of thin card stock. Easy and cool! 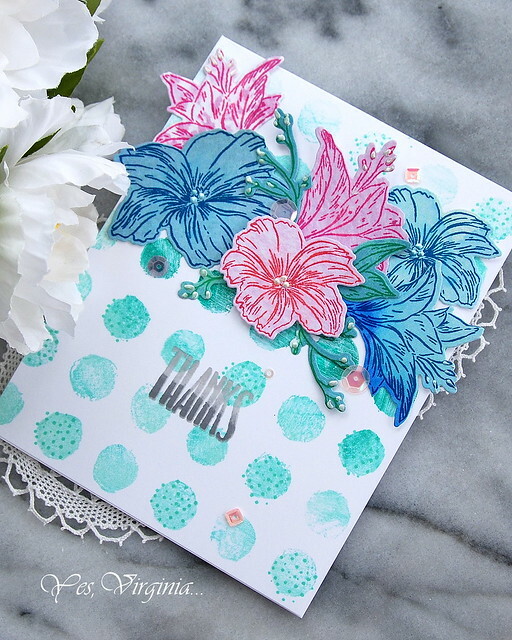 The sentiment was stamped in two colors and I love how it compliments the entire design. I want to thank you for leaving kind feedback in your comments. I truly enjoy reading each one of them. 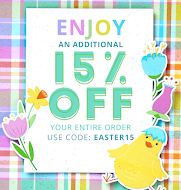 Two days only-->the school and Grad-themed products are 15% off here. 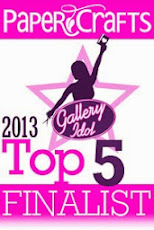 I will be featuring some of them very soon. 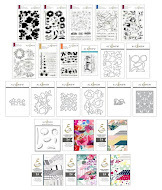 Looking for a die cut machine? Scrapbook. com has a Platinum sale here. Have you done any fussy-cutting lately? 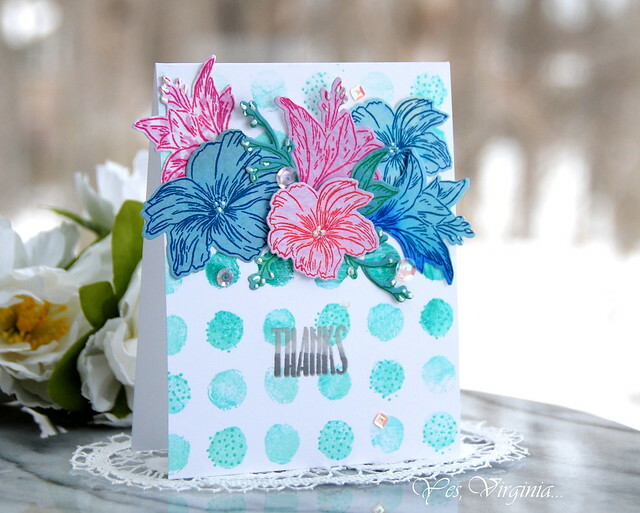 I have a fun and easy card with lots of fussy cutting. Why fussy-cuttin, you ask? Well, it's a no-brainer to me. 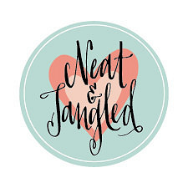 When I am stuck with ideas or lack of mojo ( you know we all have one of those days....), it's time to just cut things away in front of my favorite TV shows. 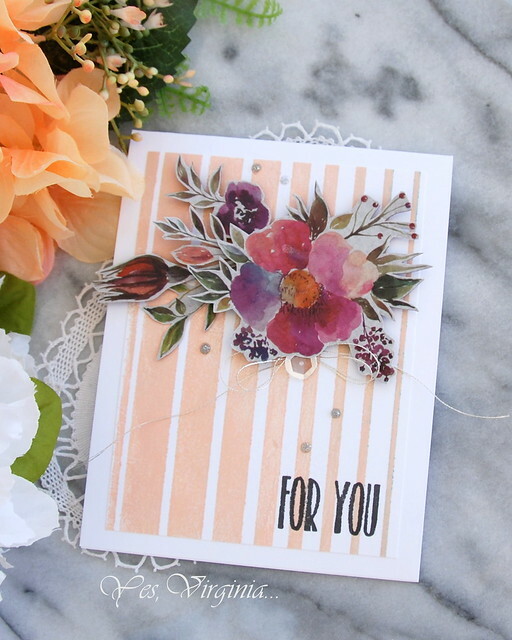 All you need are some gorgeous Washi Tape, a pair of sharp scissors, a background stamp, a few embellishment elements and that's it! All of the supplies are listed at the end of this post. 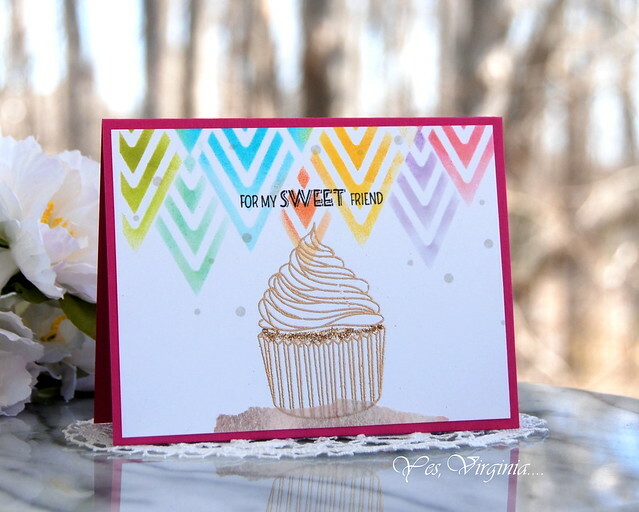 The hardest part of this card is coming up with the right color for the background stamp. 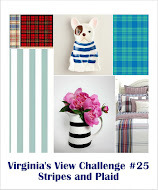 Ding--->I tested out a few colors and finally set my sight on Peach Perfect. The trick is to pick out a color from the piece that you use. I found that hint of Peach Perfect is just the ticket! Other colors might work are: Sage Green, Light Grey, Lilac...? Can you name other colros that I don't see? (please leave a comment below). 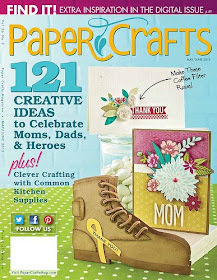 Now how do you exactly cut a piece of Washi Tape? 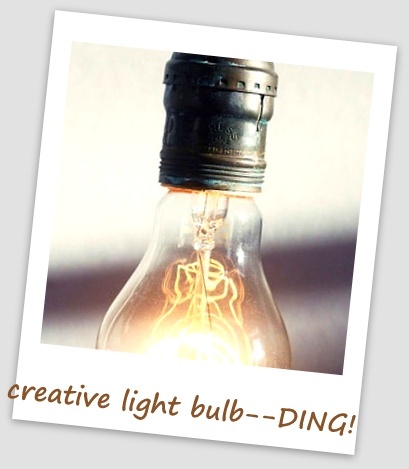 I think it is a good idea to use a light to medium card stock underneath the Washi for easy fussy-cutting. Since the floral images are so detailed, it was easy to arrange them. 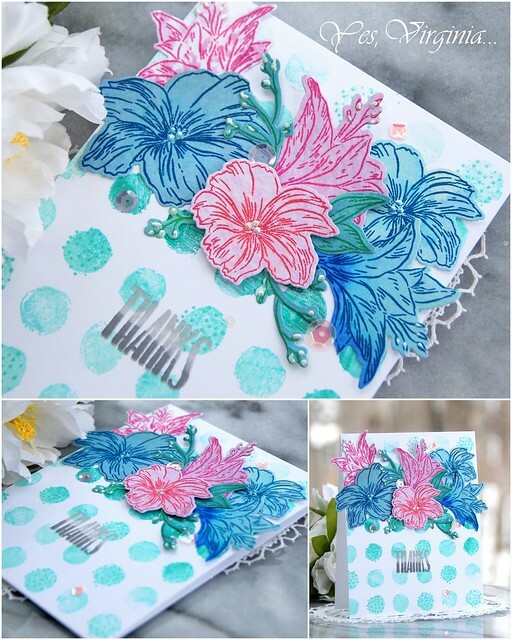 You can definitely apply this idea with your pretty pattern paper! 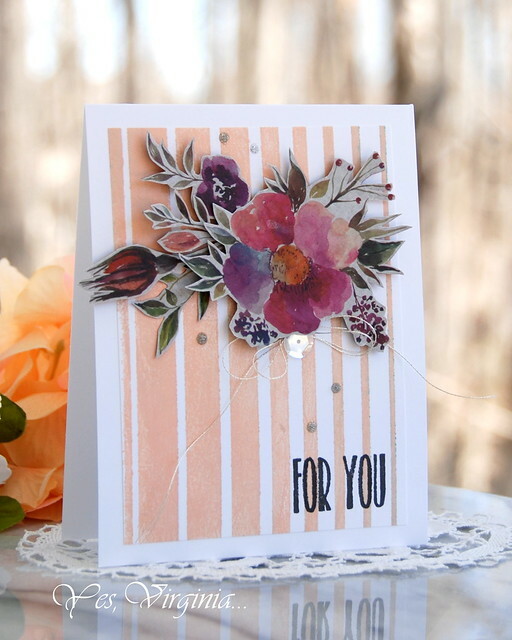 The sentiment "FOR YOU" is from "Watercolor Dots". This is another GREAT set if you love dotty background! It also comes with fabulous sentiment! Love the font, too! ....Altenew is having a 3-day Ink Sale! 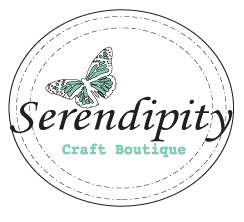 Spellbinders Blog Hop Winner Annuouncment and More Sales Info! In case you don't know, Concord and 9th is having a 25 hour flash-sale and it is ending in a few hours. 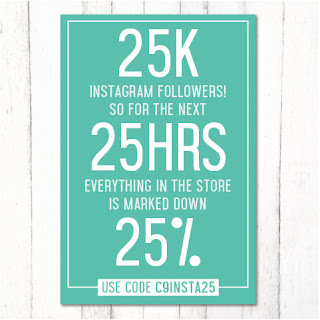 Click here to get the 25% off! from Tuesday, 4/24/18 at 11am MT through Wednesday, 4/25/18 at 12pm MT! 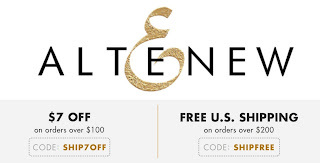 Code MUST be entered at checkout! TODAY is the last day for the gift with purchase promotion! 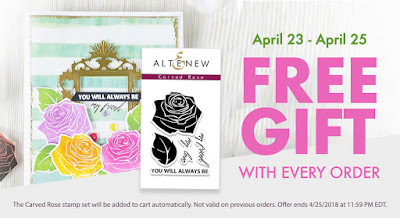 Receive a FREE Carved Rose Stamp Set with every purchase (valid until 4/25/2018 at 11:59 PM EDT). It will be added to cart automatically. I also want to mention that I bought Grand Calibur during last year's Black Friday Sale and I have been using it like crazy! It is a bit bulkier than Cuttlebug, but it truly is a fine working machine! I am very pleased with the purchase. If you are looking for one, this is the price I paid last November. 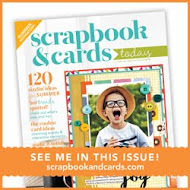 Scrapbook.Com also has a great selections of Platinum machines on sale here. You can't go wrong with any of these machines, either! 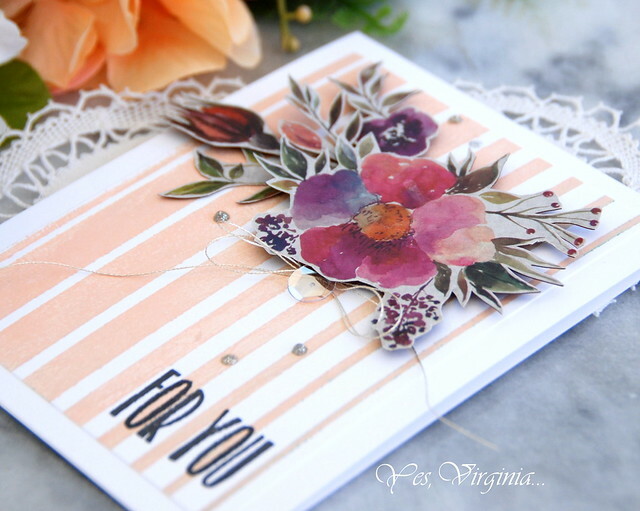 updated: Spellbinders Blog Hop winner is announced here! 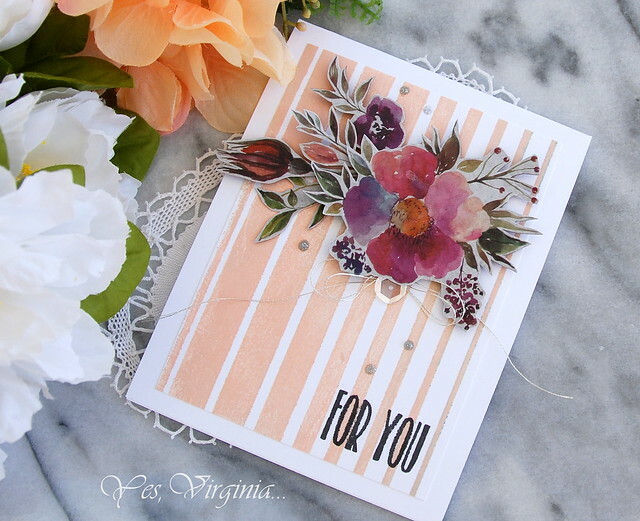 Such beautiful cards Virginia! 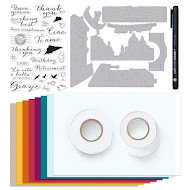 I love how you've used the silhouette dies. 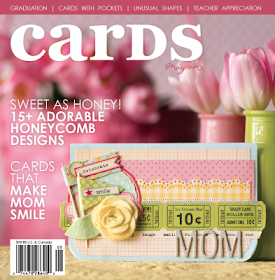 Congratulations, Berina, please e-mail me becr8ive2@gmail.com to claim your Spellbinders prize! It's time for Technique Tuesday! I share a technique (or two) every Tuesday with Technique Tuesday products. 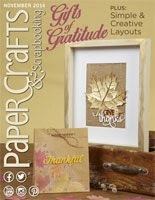 You can find Technique Tuesday products here over Scrapbook.com. 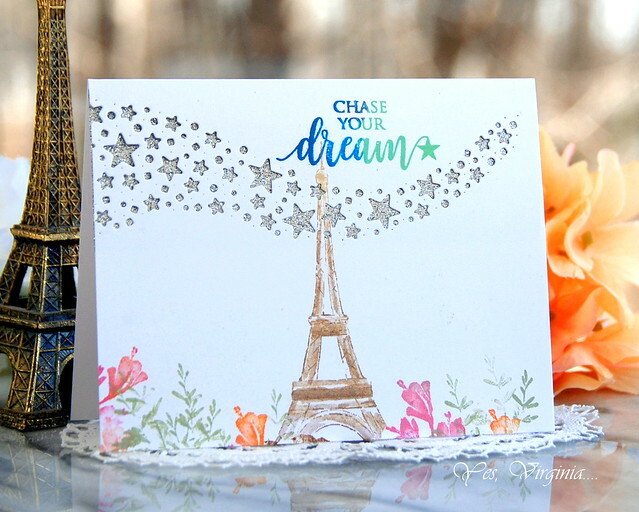 I stamped the image with my MISTI and used the lightest ink ( Altenew's ink Limestone) I have on hand. 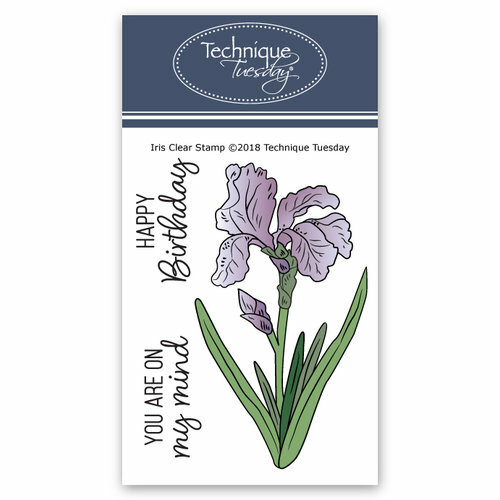 Once I did that, I ran the image along with the Iris Matching Die through my die cut machine with the Tan Embossing Mat. 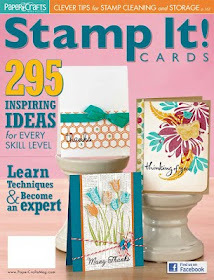 The dry-embossing left with an etched lined image and detail. 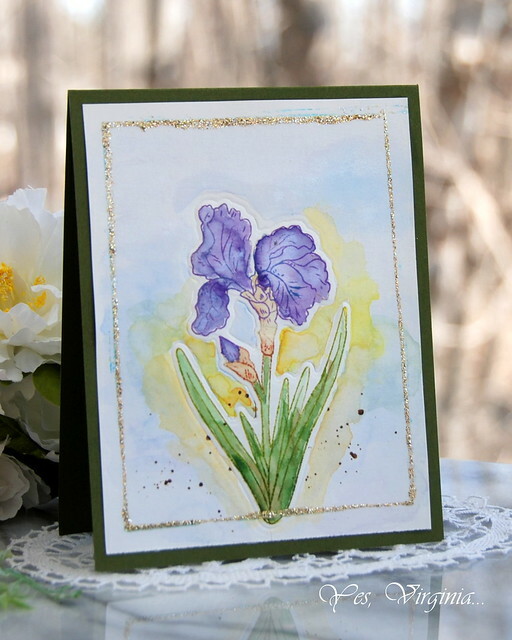 This is even better for Watercoloring! 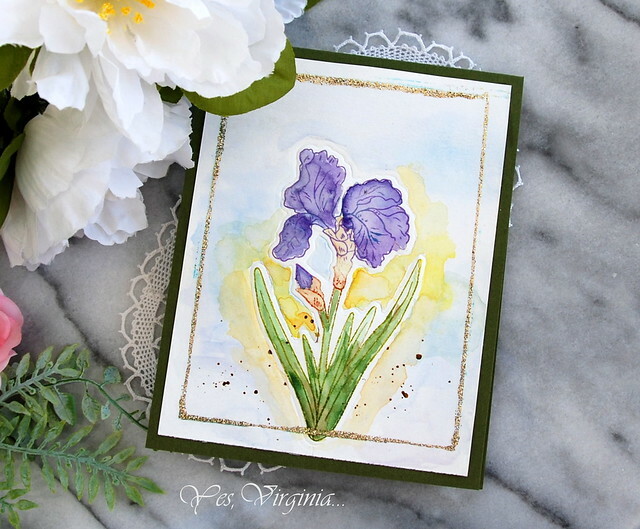 The embossed letterpress line creates a barrier and was great for water-coloring! I really enjoyed coloring images like this. It is in the right size for novice colorists like myself. 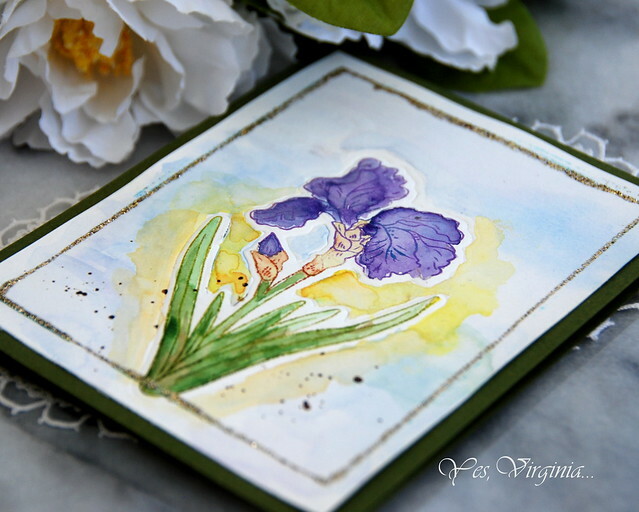 Once I finished with water-coloring, I added Gold Stickles to the border with the help of a Tim Holtz Steel Ruler. A few droplets of Wink of Stella (gold) didn't hurt, either! 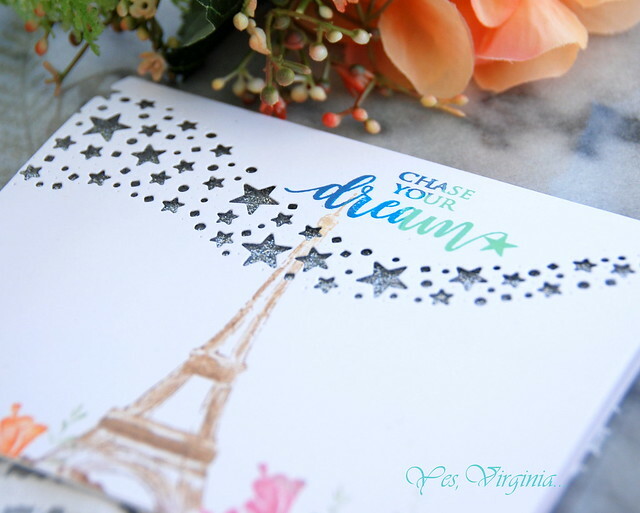 I hope that you get inspired by my use of Tan Embossing Mat, stamp-matching dies and water-coloring! I will be featuring Flowers for Her next Tuesday! Here are the last few Technique Tuesday series. 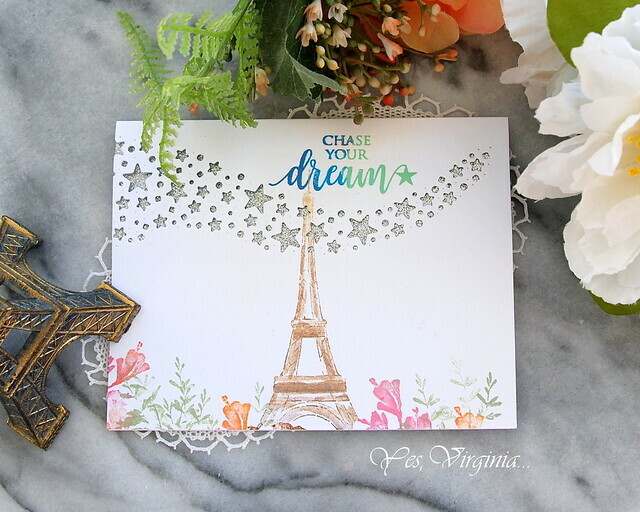 Fun and Easy Die Cutting! 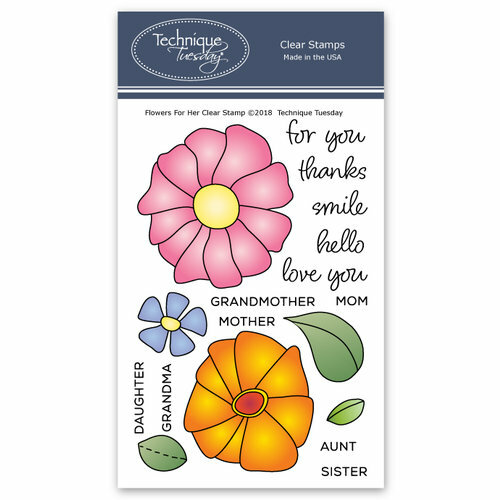 NEW Simon Says Stamp Mother's Day Kit!